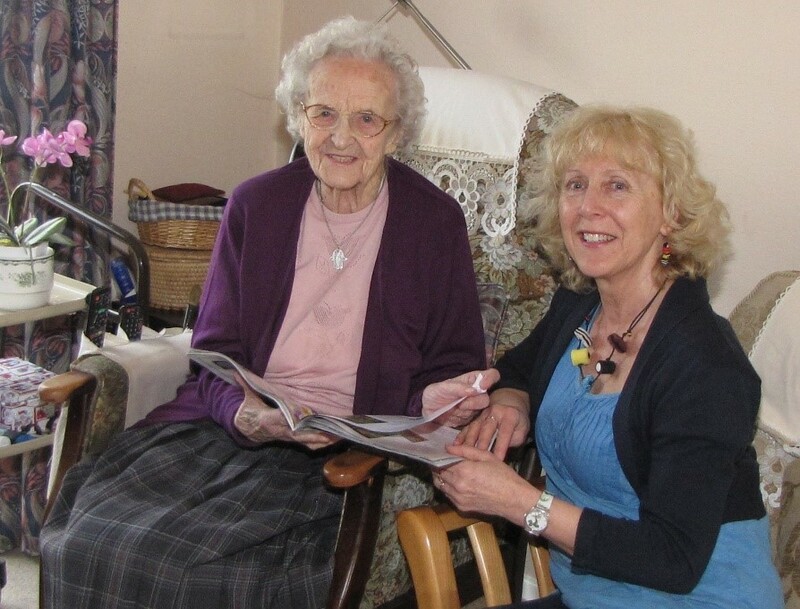 Wye Valley Volunteers charity offers a Home Visiting service. We have a team of around twenty people who go and see people in their own homes on a regular basis. The Visitors and the people they visit agree on what they would like to do together e.g. enjoy a cup of tea and a chat, visit the garden centre, go shopping, play scrabble, walk the dog. Visitors do not get involved with any personal care or cleaning. Visits last at least an hour and the frequency is decided upon on a one to one basis. For some it is once a week, others fortnightly whilst yet others prefer a longer visit or outing once a month. This type of befriending is a vital tool in combatting loneliness for people living on their own. If you would like to arrange for a home visitor to call (or if you know someone whom you feel might benefit) please complete the application form available from the office, also on the website. The Co-ordinator would arrange an informal chat to learn more of your background and interests and then try and match you with a home visitor who shared these interests and expectations. The Co-ordinator would then organise an introductory meeting with the proposed home visitor and would continue to give support when necessary. Community Volunteer Office, Wakeman Road, Bourne End, SL8 5SX. Registered charity number 1022601. © Copyright 2019 Wye Valley Volunteers, All Rights Reserved.